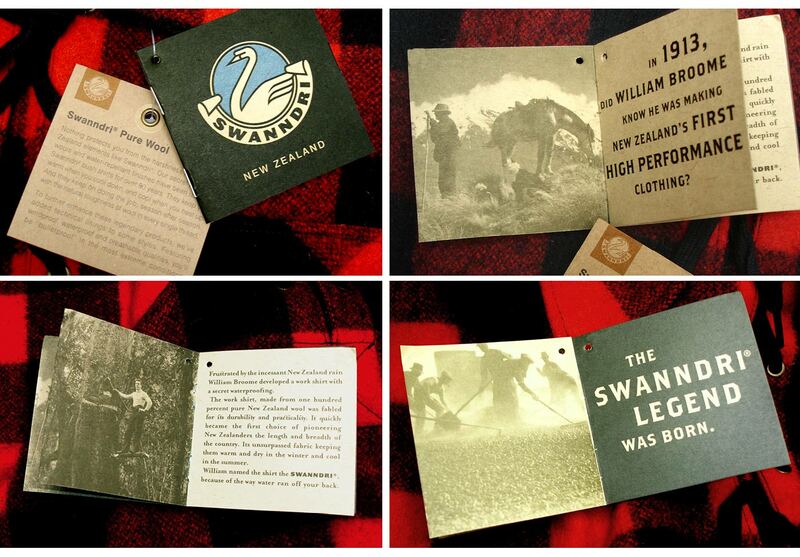 Swanndri is an iconic Kiwi brand, manufacturing outdoor rural workwear from New Zealand wool and materials. We updated their brand identity, redrawing the classic swan symbol and refreshing the typography. Alongside the brand refresh, we created a direct marketing campaign, and extended the new identity across packaging and press advertising. 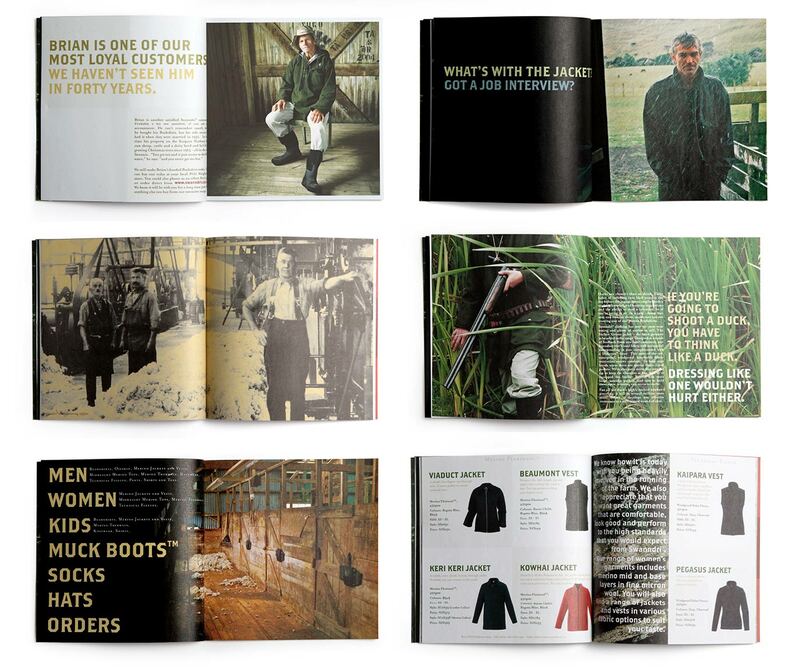 The main focus of the marketing campaign was a direct mail catalogue, to be delivered to farms across the country, using stories and photography to tell the Swanndri story and reconnect with their core customer base. Working with award-winning art director Len Cheeseman and copywriter Nick Worthington we designed a mail order catalogue and press marketing campaign based around the stories of real people and their experiences of the Swanndri brand. Photographer Derek Henderson went on location to farms around New Zealand, to capture the essence of rural New Zealand life. We combined those images with historic New Zealand photographs documenting the history of the early Kiwi pioneers and used them to create a marketing campaign and brand packaging and POS style that really tells the story of the evolution of an iconic national brand.